The 3204R-H features high-power changeover contacts (NO/NC, 230V at 10 amps resistive load). This makes the 3204R-H a suitable tools for all your switching needs: high power, low power, audio or lighting signal, motor control or more. Intelligent internal signal routing, exclusive switching options, momentary or latching output: every combination is possible and can be set easils from your preferred RDM controller. In contrary to applications on stage, permanent installations do not need address setting switches etc. All settings are stored in nonvolatile memory electronically. 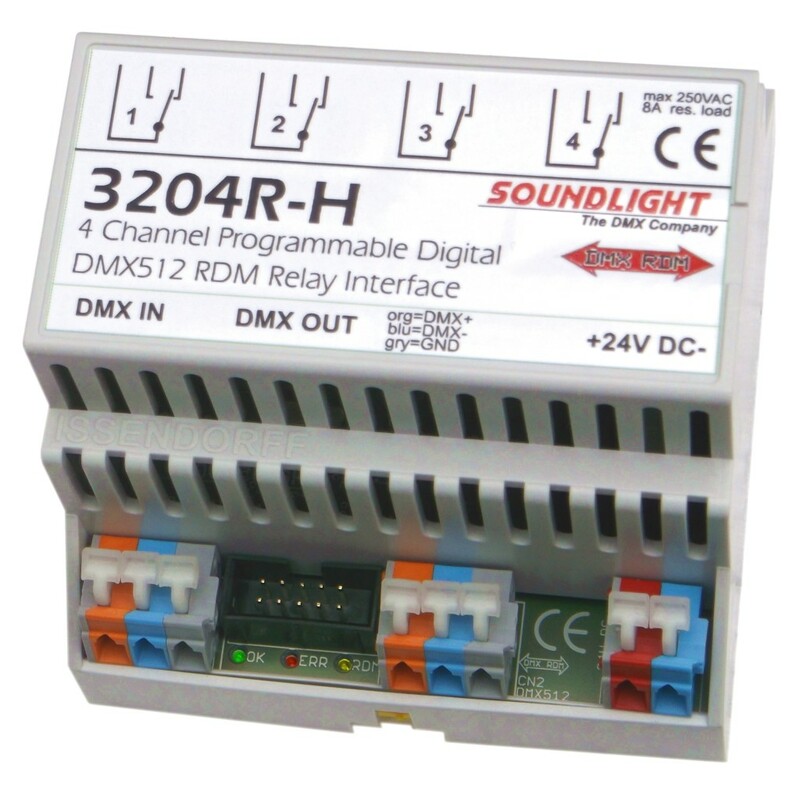 To configure the relay 3204R-H, you need a suitable DMX RDM controller. To set start address and personality, a start address board 3000P, 3003P, 3005P or 3006P can be used alternatively. This is available as optional accessory and is not included in the delivery.